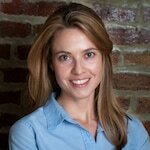 Lindsay Clinton is a director at Intellecap, a pioneering impact investing and social enterprise advisory firm. As a believer in the power of business and markets to create impact, she has worked with both corporates and start-ups to drive change—from NIKE and Nestle to Nepra and Nora. Clinton is a frequent speaker on business innovation and social enterprise, teaches a graduate course on sustainable business models and has three kids under five.